Looking for movie tickets? 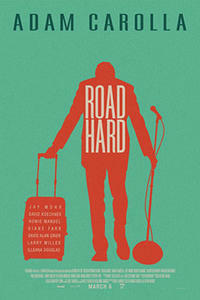 Enter your location to see which movie theaters are playing Road Hard near you. Adam Carolla stars in "Road Hard," a comedy inspired by his own experiences about a stand-up comedian who finds himself stuck in the torture chamber known as "the road."